Seattle - The Global Sawlog Price Index (GSPI) increased for the fourth consecutive quarter in the 2Q/13 to reach US$86.60/m3. The Index, which is based on sawlog prices in 20 regions around the world, has gone up 5.1 percent year-over-year and was at its highest level since the last quarter of 2011, according to the Wood Resource Quarterly (www.woodprices.com). The largest log price increases the past year have been in regions that are exporting logs or lumber to China, including the Western US, Western Canada and New Zealand. Prices for Douglas-fir and hemlock sawlogs in the Western US have gone up 21 percent and 15 percent, respectively, from the 2Q/12 to the 2Q/13, while prices in Western Canada and New Zealand were up 13 percent and 6 percent, respectively, over the same period. Exportation of logs and lumber from North America to Asia reached a new high in the 2Q/13 when over 700 million dollars worth of products were shipped over the Pacific Ocean. The high production rates at the sawmills in Western Canada and Western US plus the large volumes of logs that were leaving the West coast for China, Japan and South Korea have caused an upward price pressure on sawlogs in the region for the past few years, with prices almost doubling since 2009, as reported in the WRQ. During the first seven months of 2013, US west coast log export volumes to Asia were up 29 % percent compared to the same period in 2012. Shipments to China have continued to increase with log volumes being 47 percent higher than the same period last year. Exports to Japan were also higher but only by about ten percent. If this pace continues, 2013 will be the best year on record for log exporters on the US west coast since the mid- 1990’s. With New Zealand becoming the world’s largest log exporter, prices for sawlogs in the country have gone up dramatically the past five years and in the 2Q/13 were almost double those in 2009. 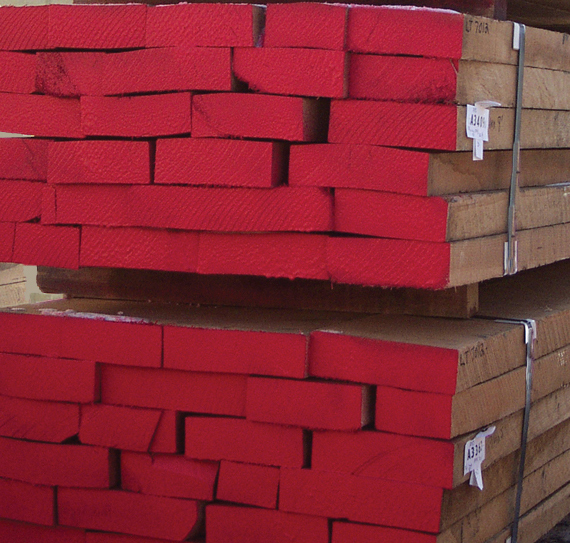 New Zealand has surpassed Russia in 2013 to become the largest softwood log supplier to China. Outside of North America and Oceania, sawlog prices were generally lower in the 2Q/13 because of weaker lumber markets. The biggest declines from 1Q/13 occurred in Northern and Eastern Europe.